This is the fifth part of Making Sense of Auto Layout Series. Previously, we have explained why conflicting constraint happen and how to solve them. In this post we will look into what is intrinsic content size and the importance of it. 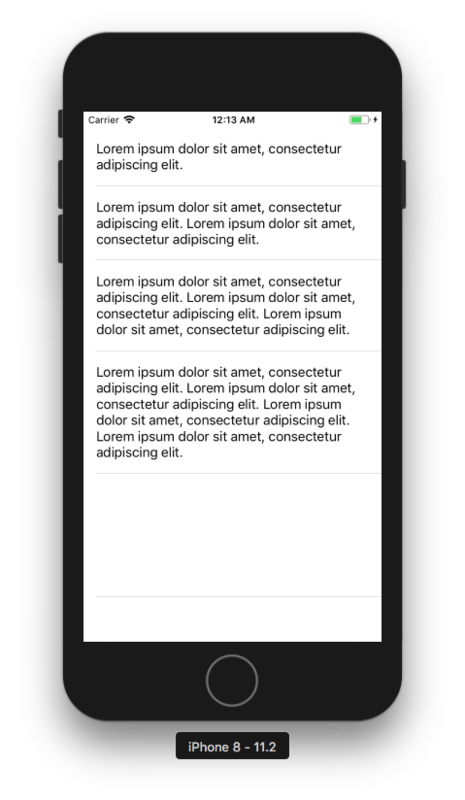 The blue rectangle view has a leading (40 pt) and top (40 pt) constraints, meaning its x position and y position is known, but Auto Layout Engine doesn't know its width and height. Intrinsic content size means the size of an UI element derived based on its content. 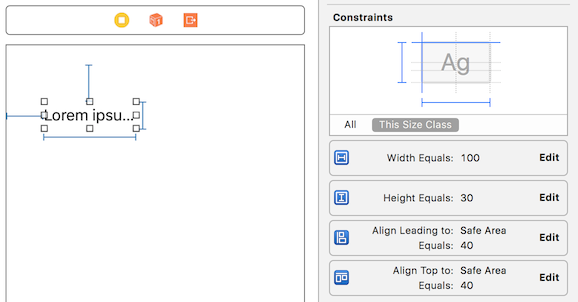 UIView doesn't have intrinsic content size hence you have to manually define constraints that enable Auto Layout Engine to calculate its size. Label / UILabel has intrinsic content size, its width and height can be derived from the text of the label and the font type/size used. Button and Textfield has intrinsic content size and its calculation is similar to label. An empty image view doesn't have intrinsic content size, but once you add image to the image view, its intrinsic content size is set to the image size. Here is a table of intrinsic content size for common UI element from Apple official documentation. As Auto Layout Engine is able to calculate the label width, it will use this calculated value instead of its original intrinsic width. But now the text is truncated as its intrinsic height is still 1 line tall, how can we change its intrinsic height? In most cases, you will only need to set constraints to let Auto Layout Engine calculate the width of the label and let its intrinsic height expand based on its text content. This concept can apply to other UI element that have similar intrinsic content size calculation as label such as button and textfield. 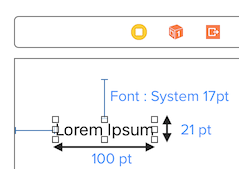 Intrinsic content size allows the size of an UI element to be dynamically expanded based on its content, it is especially useful on designing a scroll view containing dynamic content (content loaded from user input or HTTP request) or self sizing table view cells (tableview containing rows of different height based on the content of the label inside cell). Notice how the tableview cell expand to cater for longer length of text (content) inside it. Since the width is fixed (label width = screen width - leading - trailing), the text label intrinsic height increases as text got longer. This is useful if you are showing comments with varying length (like Reddit app) from user on table view. In the next post, we will look into what is constraint priority and when to use it.